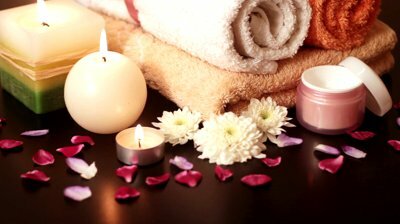 Beautiful SPA Experience at Your Home….! | S For SHE ! a) To start it off, fix yourself a hot cup of tea. It could be any kind of tea but they say chamomile tea would really help you wind down. b) Play some jazzy tunes or just some feel-good music like that of Enya, Celine Dion, Brian McKnight, or whatever you feel like listening to. c) Place a few drops of soothing essential oil like lavender or jasmine into your bathwater. These two are just some of the essential oils which happen to be very effective in stress reduction. d) Upon entering your room, dim the lights and place a few candles around the area. If you’re the type who falls asleep easily once you hit the sack, then it’s best that you do away with the candles. e) Finally, lie down , put some mask on your face and place some cucumber over your eyes to help de-puff your eye bags. d) Scrub your body and feet with some exciting herbal home spa recipies. Enjoy your home spa experience and mix up some fabulous recipes for face masks, scrubs and soaks. You’ll find that you probably already have most of the ingredients lying around your house for the home spa party… Herbal home spa recipes are so easy to make and nothing is better than natural products for your skin and body. You can use this herbal home spa scrub on your whole body, Mix one cup of brown sugar with 1/2 cup extra virgin olive oil or coconut oil. Gently rub a small amount of your herbal home spa concoction into skin then gently rinse off with warm water. For the home spa party, fill buckets or foot soakers with warm or hot water. Add rose petals. Rest your feet in the water and relax. This is probably the easiest and fastest home spa recipe for your tootsies. Home spa experience requires attention to your skin so mash a quarter of an avocado in a bowl, then stir in one tablespoon of yogurt. Spread over the face, avoiding eyes. Wash off the herbal home spa mask after 15 minutes. ← 5 ways to cook finger licking delicious Chicken steaks ! lol that’s a good idea ! 😛 Thanks for liking !